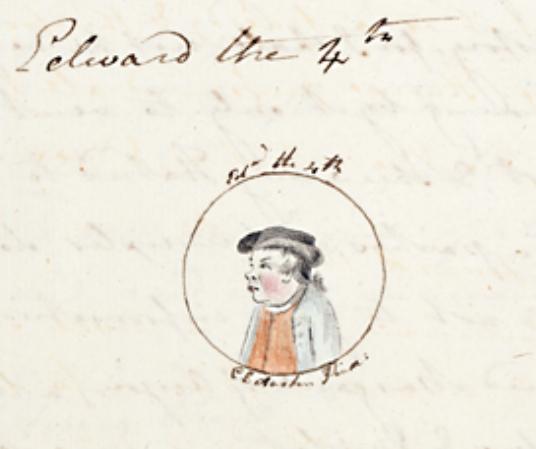 Last week, we posted about the British Library’s colossal online exhibit, which includes over 30,000 items, all freely digitized for reader perusal. 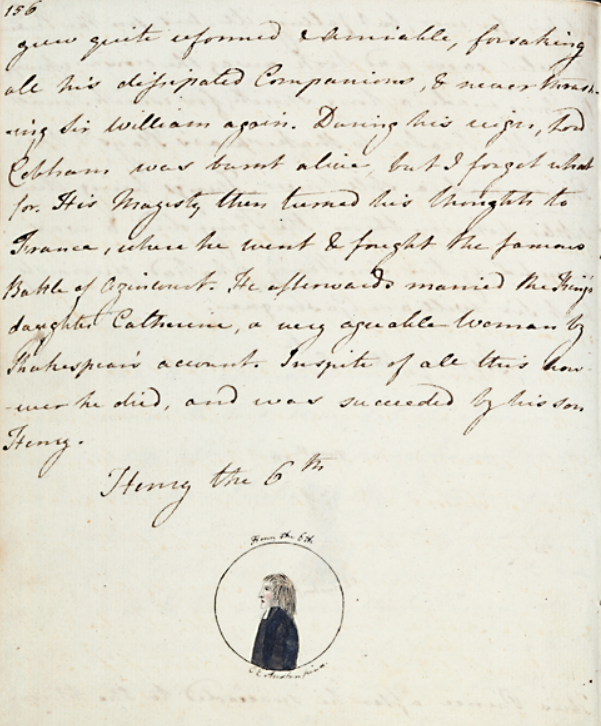 Although we’d mentioned some of the choicest holdings -- the original writings by Mozart and da Vinci, for example -- we’ve recently come across another piece of literary history that compelled us to revisit the collection: a browsable manuscript of Jane Austen’s The History of England, penned in 1791, when the author was only 15 years old. This Prince after he succeeded to the throne grew quite reformed and amiable, forsaking all his dissipated Companions, & never thrashing Sir William again. During his reign, Lord Cobham was burnt alive, but I forget what for. His Majesty then turned his thoughts to France, where he went & fought the famous Battle of Agincourt. He afterwards married the King's daughter Catherine, a very agreeable Woman by Shakespear's account. Inspite of all this however, he died, and was succeeded by his son Henry. I cannot say much for this Monarch's sense. Nor would I if I could, for he was a Lancastrian. I suppose you know all about the Wars between him & the Duke of York who was of the right side; if you do not, you had better read some other History, for I shall not be very diffuse in this, meaning by it only to vent my Spleen against, & shew my Hatred to all those people whose parties or principles do not suit with mine, & not to give information. This King married Margaret of Anjou, a Woman whose distresses & misfortunes were so great as almost to make me who hate her, pity her. It was in this reign that Joan of Arc lived & made such a row among the English. They should not have burnt her - but they did. 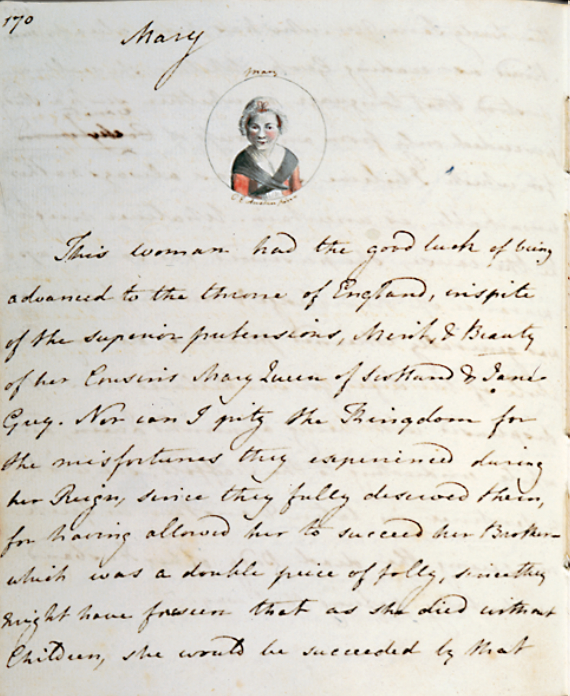 The whole book, including the above pages on Queens Mary and Elizabeth, may be viewed at the British library’s website. Thank you for bringing this wonderful bit of literary history to the world attention. In the future, however, out of respect for the writers whose prose you admire, please refrain from abusing the English language by using the word, “reference,” as a verb. Miss Austen would cringe. His Majesty was of that amiable disposition which inclines to Freindship, & in such points was possessed of a keener penetration in Discovering Merit than many other people. I once heard an exellent Sharade on a Carpet, of which the subject I am now on reminds me, and as I think it may afford my Readers some Amusement to find it out, I shall now take the liberty of presenting it to them. Sharade My first is what my second was to King James the 1st, and you tread on my whole. The principal favourites of his Magesty were Car, who was afterwards created Earl of Somerset and whose name perhaps may have some share in the above-mentioned Sharade , & George Villiers afterwards Duke of Bucking ham.